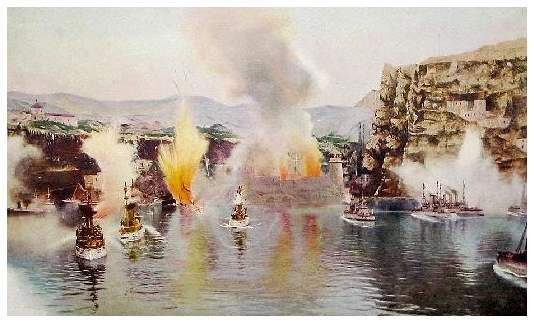 Though the attraction's program was changed weekly, the Naval Exhibit replayed in miniature, the major nautical battles from the 1898 Spanish-American War. 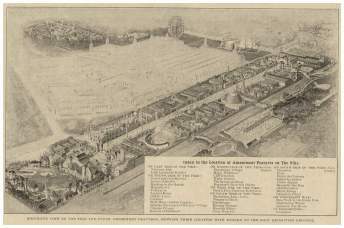 This most realistic and thrilling production of Naval Battles including Battle of Santiago Bay, Manilla, and Port Arthur were displayed on a huge football-sized basin of water 300 x 180 feet and about 3 foot deep. 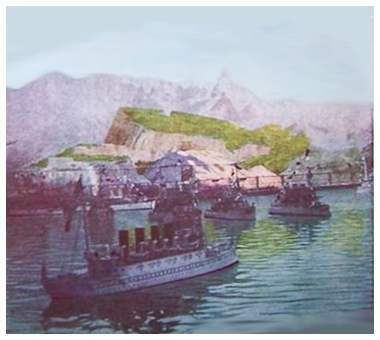 28 `Miniature' ships which varied from twelve to twenty-one feet, included" eight battleships, six cruisers, six torpedo boats and a single submarine. 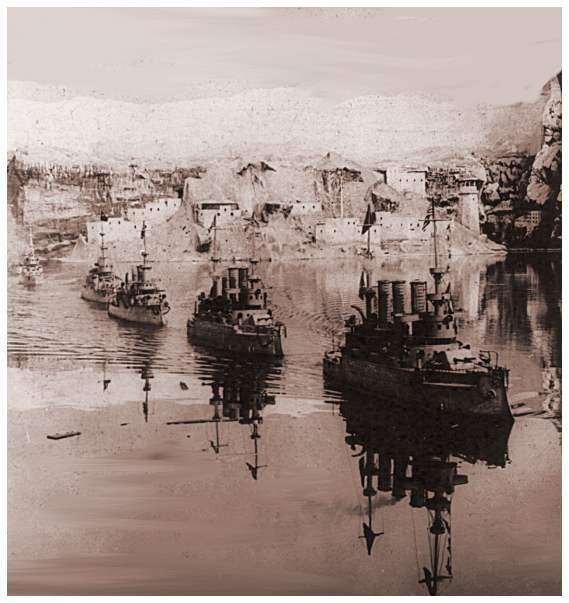 Though the steel ships were run by electric motors (storage batteries), operators inside the crafts helped control them. During every 100 working guns on the boats fired 20,000 shells. During each battle, two ships were blown up and one was left burning. accidentally hit an underground mine. Newsby, the operator of the Olympia, was taken out of the water on a stretcher, to the applause of the crowd that had thought it was part of the proceedings. This was the only major mishap documented from this attraction. Price of Admission- adults 25¢, 50¢ reserved, 75¢ private seats (25 cents children). An audience's view of the Battle of Santiago.